KOLKATA POLICE DIRECTORATE 18, Lal Bazar Street, Kolkata- 700 001. Age limit: The age of the applicant at the time of engagement shall not normally exceed 50 years. The applicant has to produce the original certificates in support of his educational qualification, age proof, Caste Certificate (if any), experience certificate, residential certificates, medical fitness certificate in original, 02 (two) copies of recent passport size colour photograph and any other documents in original in support of his/ her candidature during Walk-in-interview. PROCEDURE OF SELECTION :–The preparation of merit list will be made based on academic records. 4) All the posts are in Kolkata Police Hospital, 2, Beninandan Street, Kolkata - 700025. 5) The contractual service condition will be as per existing rules and regulations of Govt. of West Bengal. 6) All efforts will be made to complete the selection process as per above mentioned schedule. However, in case of extreme unavoidable circumstances this date may be deferred and the same shall be communicated through Kolkata Police website www.kolkatapolice.gov.in and KPRB website www.kprb.kolkatapolice.gov.in. 7) Any clarification may be taken from Police Surgeon, Kolkata Police Hospital on (033) 2455-2704 during office hours. Date of Interview; 26/11/2018 at 11.30 hrs. 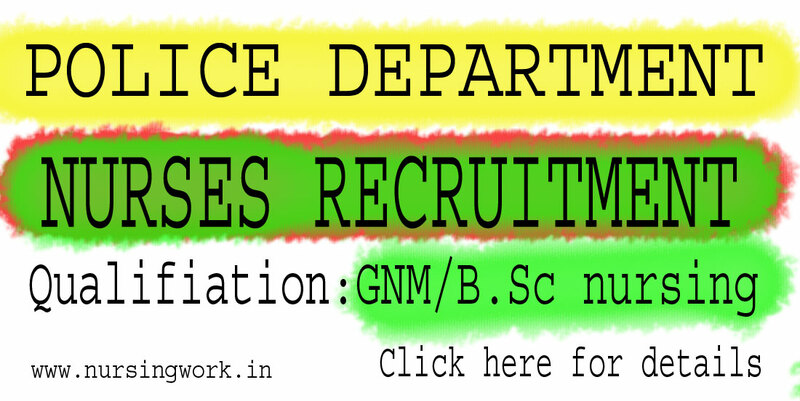 Venue of Interview: Kolkata Police Hospital, 2, Beninandan Street, Kolkata - 700025. Last date to apply: 26/11/2018 at 11.30 hrs.